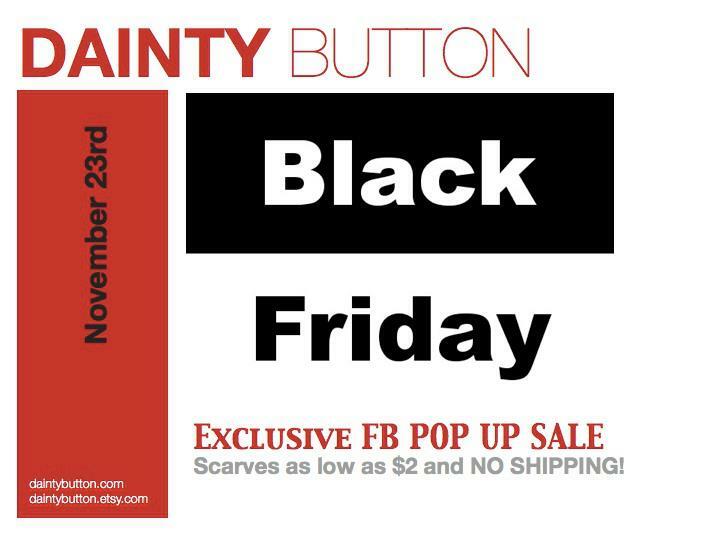 Dainty Button: The Million $ Question: Will I ever be able to buy Dainty Button Again? The Million $ Question: Will I ever be able to buy Dainty Button Again? If you're reading this blog and have no idea what I'm talking about, chances are you did not read this blog. 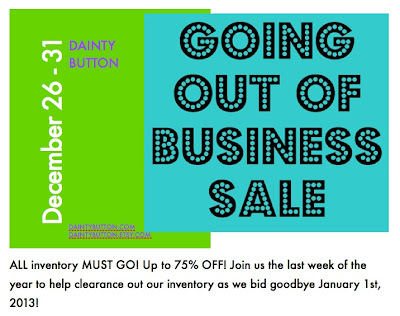 As of January 1st, 2013, we are closing our doors of business. This was a very hard decision to make but one that was very much needed, as I'm taking time to pursue personal goals in my life and start a new chapter. A new chapter where, unfortunately, my little business will not be able to be a character. A few questions I've received pertaining the closing of the business that I wanted to cover. Will I ever be able to buy Dainty Button again? Yes and no. 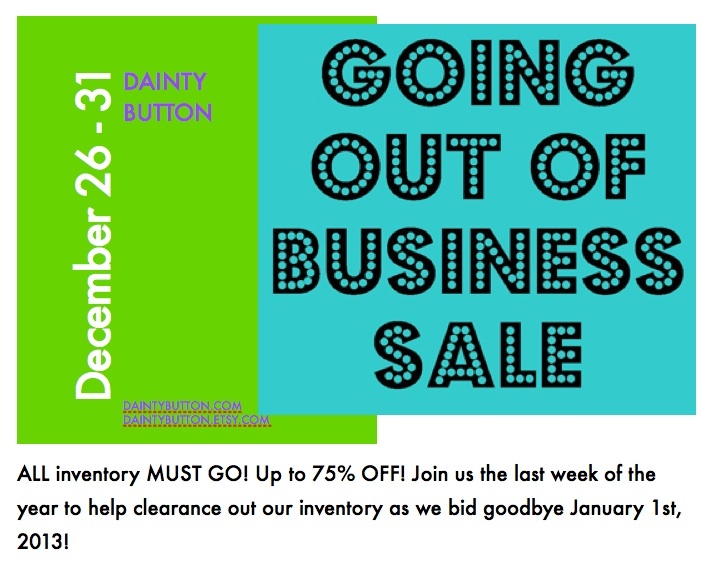 I'm dissolving the LLC aspect of Dainty Button where it runs as a fully functional California licensed business, HOWEVER, you will not be able to purchase on a regular basis and ONLY SELECT ITEMS. Here are possible times you can purchase, but not guaranteed. Times I will offer small select items will entirely depend upon my schedule and what I have time for. 1. My etsy shop will be open the first weekend of the month to purchase small, select items, HOWEVER, it will be a limited supply of inventory. 2. I will have a FB POP UP SALE occasionally. This allows me to still enjoy the crafting aspect of it, not tie myself down to working 12-14 hours a day, the stressful burden of being married to a business, while still offering others my talents. 4. Occasional seasonal times (but not guaranteed). 3. Occasionally at conferences/markets when time permits. What will happen to social media? Facebook? Twitter? Instagram? We're not going anywhere. We will obtain the name Dainty Button as this was the name before it became an official LLC business in 2010. I'm keeping all social media outlets live and active for the following purposes. 1. Blogging, DIY's, social interaction with fans and clientele, etc. I started Dainty Button off as a means to extra cash and for the pure enjoyment of an outlet to exercise my crafting talents. That's it. I still want to offer these items to fans and clientele but unfortunately I cannot offer these on a full time basis, not even part time basis, which is why I will offer select items occasionally, mentioned above. PLEASE NOTE: The only items I will offer as mentioned above will be accessory items, NOT clothing. Because I will only be offering items occasionally, ALL ITEMS will be READY TO SHIP and no longer MADE TO ORDER. Items will be shipped within 48 hours of purchase! Now, that's something to be happy about!